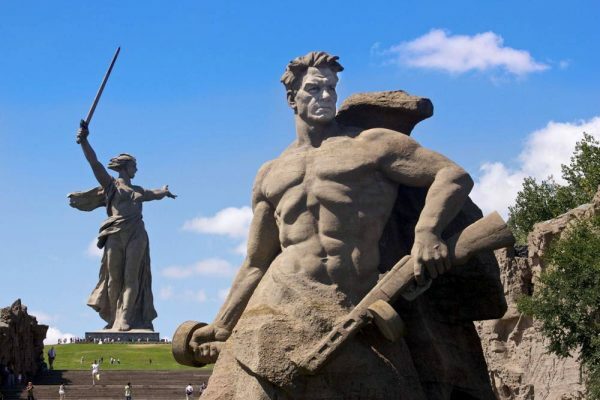 Statues at Volgograd (formerly Stalingrad) commemorate Russian valor and sacrifice for the Motherland during World War II. Photo courtesy of Jacopo Romei/Flickr. If you want to understand Russia better, think of war. But not the one in eastern Ukraine or the frightening possibility of a conflict with NATO. Go back instead to Russia’s 1945 victory over Nazi Germany. That triumph is the greatest event in Russia’s thousand-year history. In the largest war ever, Russia led the Soviet Union in crushing absolute evil and thereby saved the world from destruction. Yes, Britain and the United States played a significant role in that victory, but Russians can counter by noting—accurately—that the back of Hitler’s army was broken on the Eastern Front before the Normandy landings. Russians also can say that no country has made a greater sacrifice in war. Officially, nearly 27 million Soviet citizens lost their lives. Or, put in a different perspective, more people died in the siege of Leningrad (around one million) than the British and United States lost, combined, across the entire globe during the war. It is no wonder that May 9, when Russia celebrates VE Day, has become its greatest secular holiday. This victorious past is projected not only through the massive military parade in Red Square, which features soldiers both in contemporary and period uniforms, but also by its most demonstrative ritual: the march of the “Immortal Regiment.” This is when ordinary Russians, each holding high the photograph of a relative who served, flood the streets to form a single, massive procession. 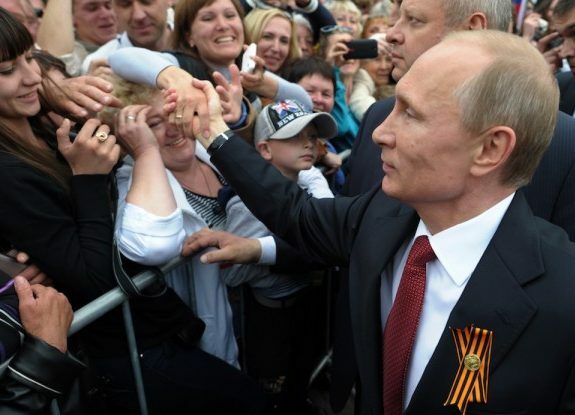 In 2017, in Moscow alone, the official estimate put their numbers at 600,000, with President Putin at their head. Live television coverage highlighted the many children, themselves in uniforms recalling the war, reciting the feats of their great-grandparents. Virtually every city in Russia hosts its own march of the Immortals, thus uniting the nation across 11 time zones through the blood of their greatest generation. The parade also makes a global statement both figuratively (by flying the flags of countries Russia helped save from the Nazi yoke, including the United States) and literally (with parallel marches of descendants of Soviet veterans in cities like London and New York). VE Day has become the center of a civic religion showcasing the sacrifice Russians have made to save humanity from tyranny. The sentiment is so powerful—and not restricted to that day alone—that it anchors a prevailing myth of Russian exceptionalism. 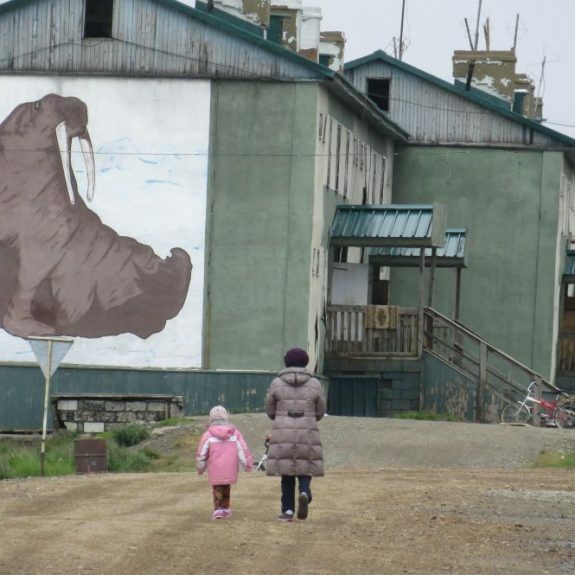 That myth has been fueled by the Second World War, but it did not begin there. 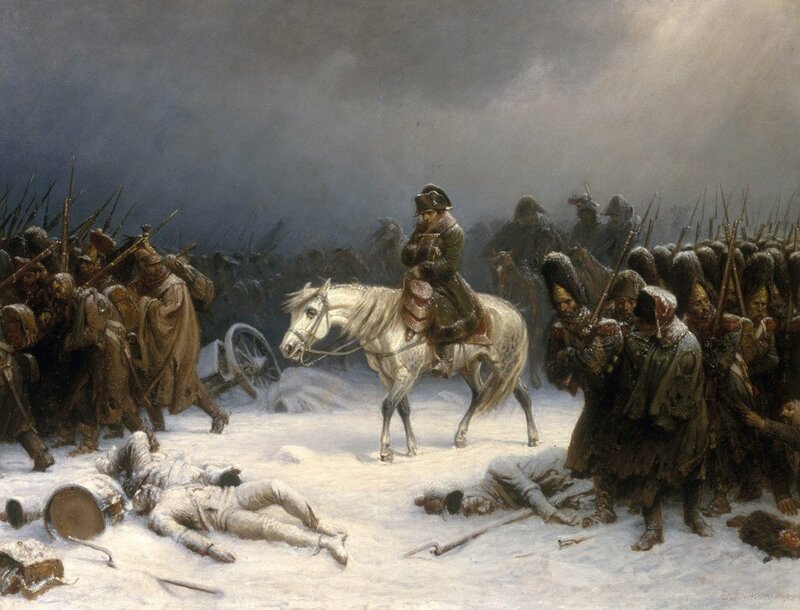 In 1812, when Napoleon invaded Russia, the conflict was framed in existential terms, with the French emperor officially tagged as the anti-Christ. The outcome of that titanic struggle was seen by contemporaries as nothing short of a miracle: Russia, by itself, destroyed the largest army the world had yet seen and then led a coalition to rescue Europe from French tyranny. They succeeded, occupying Paris in 1814, and sounding the death-knell for Napoleon’s dreams of dominating the world. 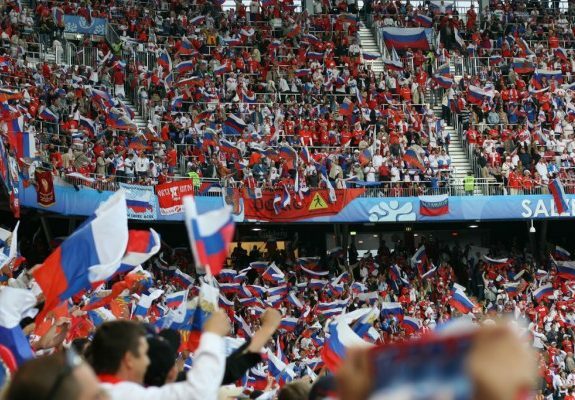 No other nation could claim such a victory, which fueled an explosion of Russian patriotism. (Napoleon’s final defeat at Waterloo in 1815 was seen as a futile last gasp.) The victory united Russian writers and intellectuals across the political spectrum—conservatives such as Fyodor Dostoevsky, socialists like Vissarion Belinsky, icons of romanticism like Mikhail Lermontov—in the idea that Russia was a special country that had accomplished a special mission. 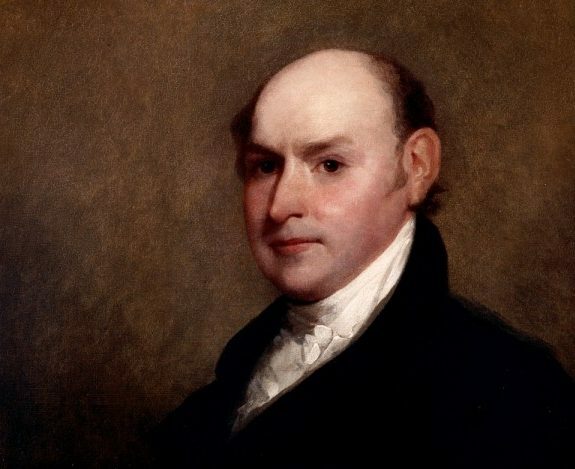 Why did he use the present tense when nearly a hundred years separated him from the miracle of 1812? It was because during that century Russian scholars and writers had delved deeper into history and found evidence that their triumph over tyranny had an even earlier precursor, suggesting that stopping invaders was part of Russia’s collective identity. 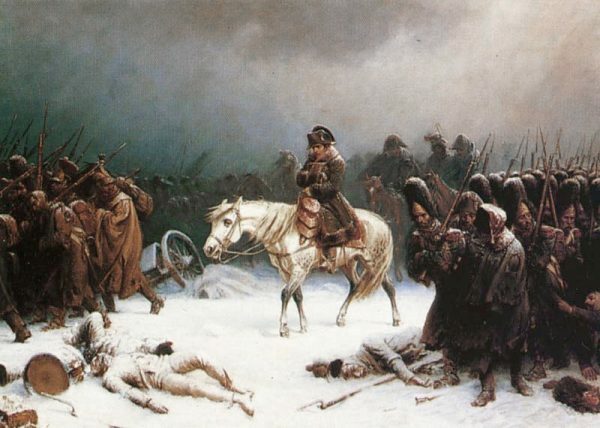 Russia’s army, its people, and its harsh winters combined to push back Napoleon Bonaparte’s invading French forces, leading to the emperor’s disastrous retreat in 1812. Art courtesy of Wikimedia Commons. When the Mongols swept into Europe in the 13th century, they never made it appreciably further west than Russia’s lands (including those of present-day Ukraine and Belarus). Was this earlier defense, Russians would ask six centuries later, yet another sign of Russia’s definitive role in sacrificing to protect others? Russia’s greatest writer, Alexander Pushkin, was among those who thought yes. 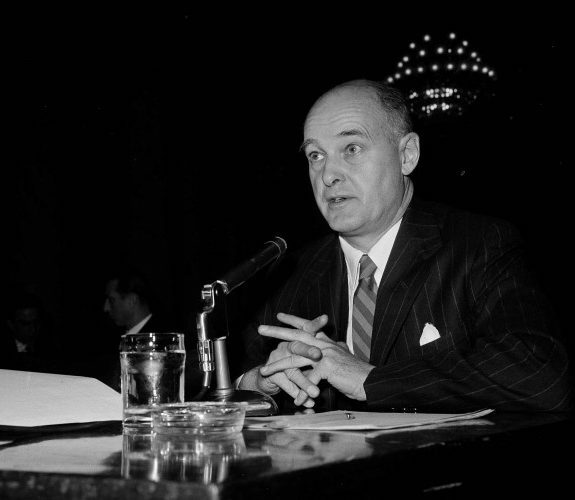 With the seeds of exceptionalism already deeply sown in Russia’s historical imagination, the 20th century, and World War II, provided further confirmation of the country’s status as a force for good in the world. Today Russia’s historical self-image colors its current stand-off with NATO. Does that military coalition not echo previous invaders like Napoleon and Hitler whose forces were not exclusively French or German but were also multi-national coalitions? What better demonstrates the West’s ingrained, collective hostility towards Russia? 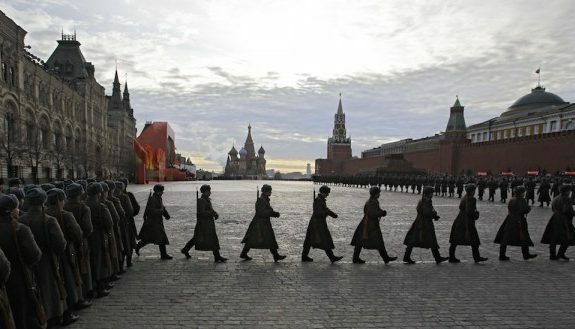 To amplify that sentiment today, Russia’s political and popular culture tap even more into its military past. Besides the Mongols, Napoleon, and Hitler, Russia has been invaded nearly every century of its existence. When the Mongols attacked from the east, its western neighbors, the Swedes and Teutonic knights, attacked as well—only to be defeated by Russia’s greatest medieval warrior, Alexander Nevsky. In the 16th century, the Crimean Tatars drove north and burned Moscow. In the 17th, the Poles repeated that feat while deposing the tsar and killing the patriarch of the Russian Church. In the 18th century, the Swedes invaded but were stopped only by Peter the Great. This history is applied to current events in ways that play well with the general population. The annexation of Crimea in 2014 can be spun as the necessary defense of native Russians from alleged Ukrainian persecution. The same story can justify the conflict in eastern Ukraine (though the Kremlin denies active involvement, noting that Ukrainian separatists are assisted, if at all, by Russian volunteers). And NATO’s expansion to Russia’s very borders—how can that not be evidence of yet another plot to take Russia down? If NATO arose to counter the military threat posed by the Soviet Union, then with the latter’s collapse in 1991, what possible motivation can there be for its continued existence and eastern expansion if Russia is not its ultimate target? Filtered through the nation’s mythic history, the answers to these questions come easily to many Russians, and they help cushion its isolation and the bite of sanctions—at least in terms of morale. Whatever the West does—from sanctions to enhanced NATO deployments close to Russia’s borders—it feeds a historical narrative in which Russia, on the defensive and sacrificing for the good and just, always wins in the end. Gregory Carleton is Professor of Russian Studies at Tufts University and author of Russia: The Story of War.